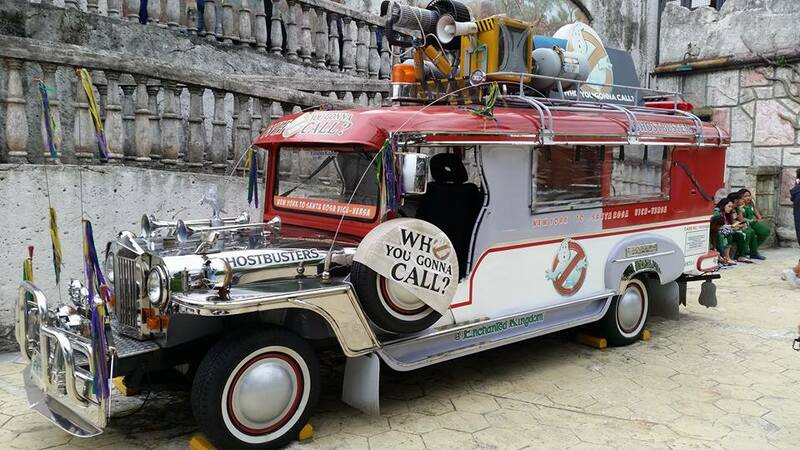 On October 22, Enchanted Kingdom (EK) the Philippines' premier them park marks another year of achievement. 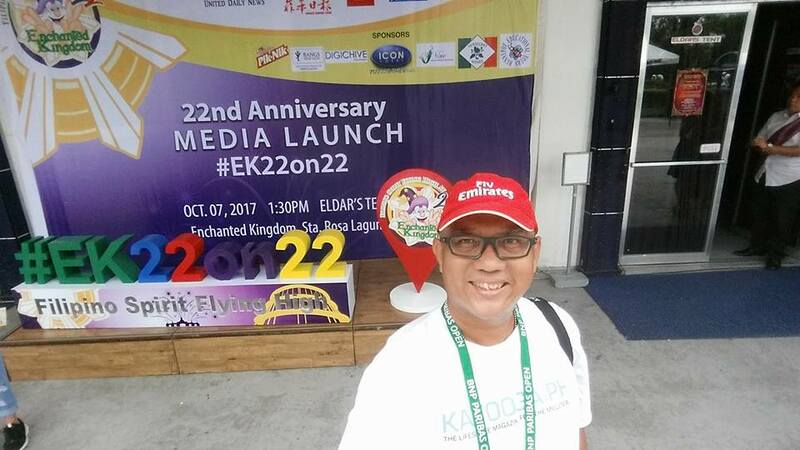 Aptly themed "the Filipino Spirit Flying High", celebrating their 22nd year, EK shared to the media what's in store for guests on October 22. 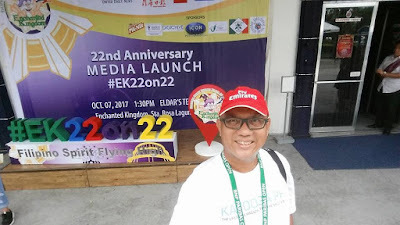 As EK Chairman and President Mario Mamon stated during the event, "EK is a business built on dream, fueled by professionalism, strong faith and exceptional service which we share with almost 2 million guests every year". October 7 just had Kapuso FUNTASTIC AFTERNOON at EK. 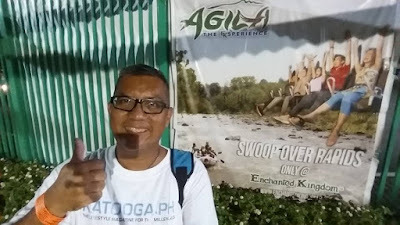 Performing live were GMA Teleserye actors Rocco Nacino, Thea Tolentino, Sanya Lopez, Pancho Magno, Dayara Shane, Vanessa Del Moral, Yuan Francisco, Patani Dano, Julius Miguel, Chalaui Malayao, David Remo and other special guests. 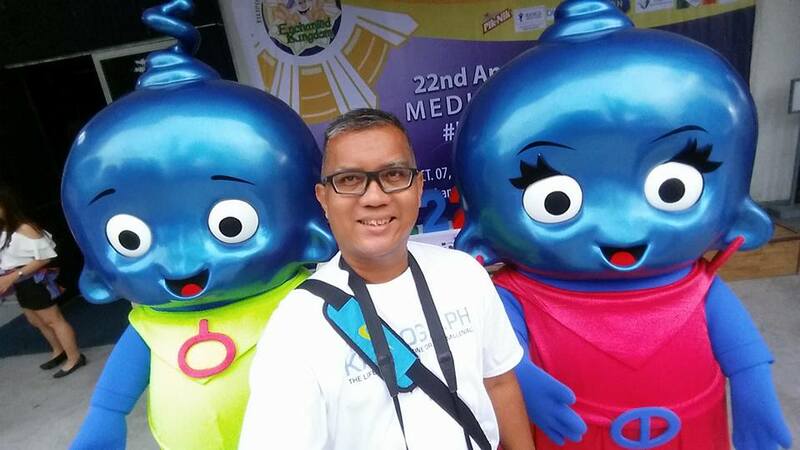 October 14 is Bida Kapamilya Day. Aguila Theatre grounds will be filled with excitement as ABS CBN talents will be on stage for an expected jampacked Saturday. Starting from 11am, the show will feature the following kapamilya stars, the Voice Teens, YEY Kinds, TNT Divas, Noven Belleza, Showtime Hashtags, PBB Teens, Magandang Buhay, La Luna Sangre, Wildflower casts and Ms. Angel Locsin. On day itself of October 22 a concert will be at hand featuring the following huge artists. Loveteams Nadine Lustre and James Reid will spearhead the cast comprising of The Juans, Arjo Atayde and Yassi Pressman. Hosting the event will be Luis Manzano. After the concert, the Spaceport at 8:30pm will host the Skywizardry Fireworks Competition hosted by Ms. Angel Aquino and Yoni Mamon. The wholesome twosome of Ella Cruz and Julian Trono will lend their performing prowess during this event. For more information about the EKciting anniversary events and promotions, you may log on to www.enchantedkingdom.ph or visit EK's offical Facebook page.